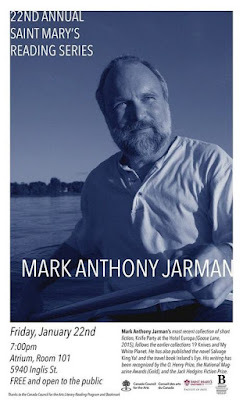 The Fiddlehead's Fiction co-editor, Mark Anthony Jarman is reading tonight in Halifax at St. Mary's University. Returning to Corked Wine Bar (83 Regent St.) on January 17 is the "odd sundays" reading series! The featured guests will be the spoken word collective, "The Uprisers" from St. Thomas University. Odd Sundays is meeting at Corked Wine Bar (83 Regent St.) this Sunday, November 29th at 2 pm. The featured readers will be from the local NaNoWriMo group. Join Qwerty, UNB's graduate student creative writing magazine, at the Wilser's Room (366 Queen Street) this Thursday, November 19, for the first Qwerty Reads event of the year! 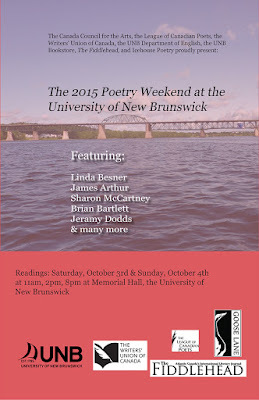 They have an impressive lineup of readers, including current UNB Writer-in-Residence Gerard Beirne, poet extraordinaire Triny Finlay, current UNB students Reid Lodge, Rebecca Salazar and Noah Page, plus musical performance from Mark Jarman's band. 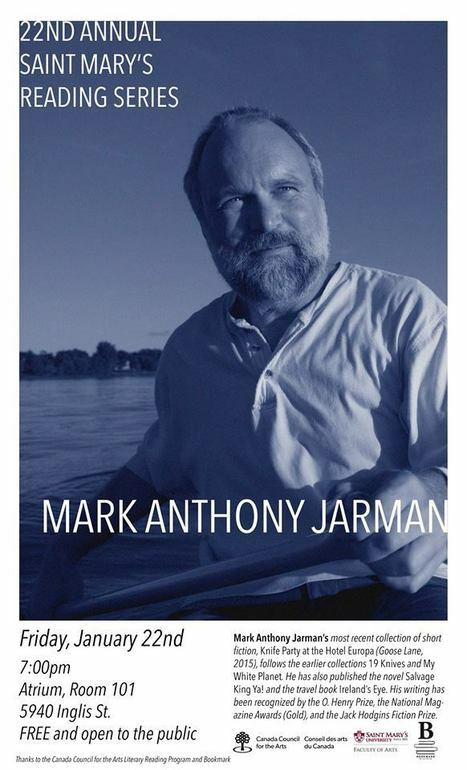 Fredericton's longest-running, poetry-and-more reading series, ODD SUNDAYS, meets this coming Sunday, November 15 at Corked Wine Bar, 83 Regent St. at 2pm. 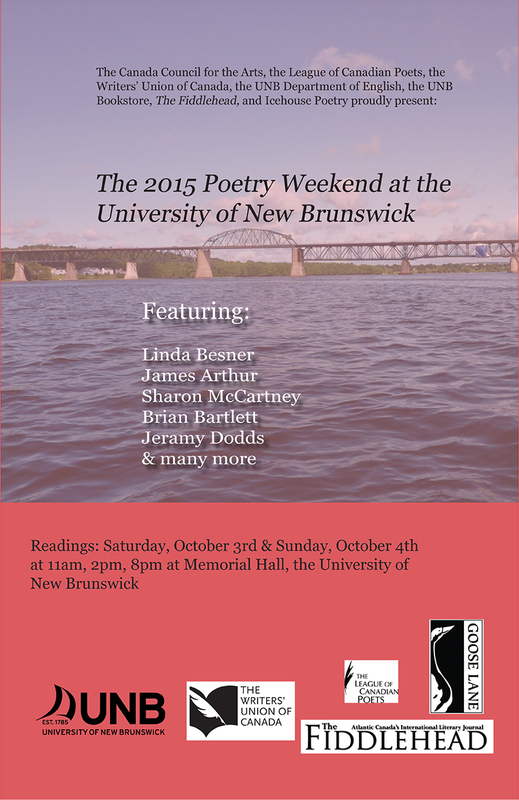 The University of New Brunswick would like to invite you to a reading by Deni Béchard on Wednesday, October 21st at 8PM in the Dugald Blue Auditorium in Marshall d’Avray Hall on the Fredericton campus. Don't miss WFNB's upcoming WordsFall gathering on the weekend of November 13-14 in Sackville, NB! The University of New Brunswick would like to invite you to a literary reading by 2015 Giller long-listed author Marina Endicott September 23rd at 8PM in the Dugald Blue Auditorium in Marshall d’Avray Hall.